Recently, FG suspended mining activities in Zamfara. 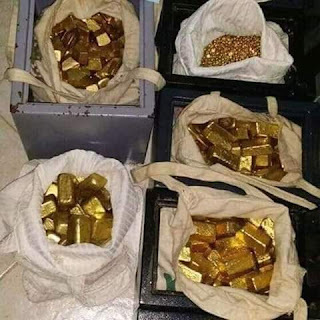 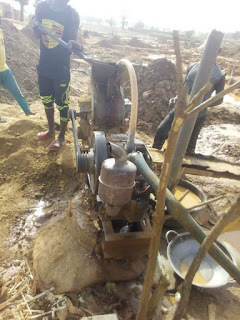 Now a video and photos showing how gold is illegally mined in Kaduna state has emerged. 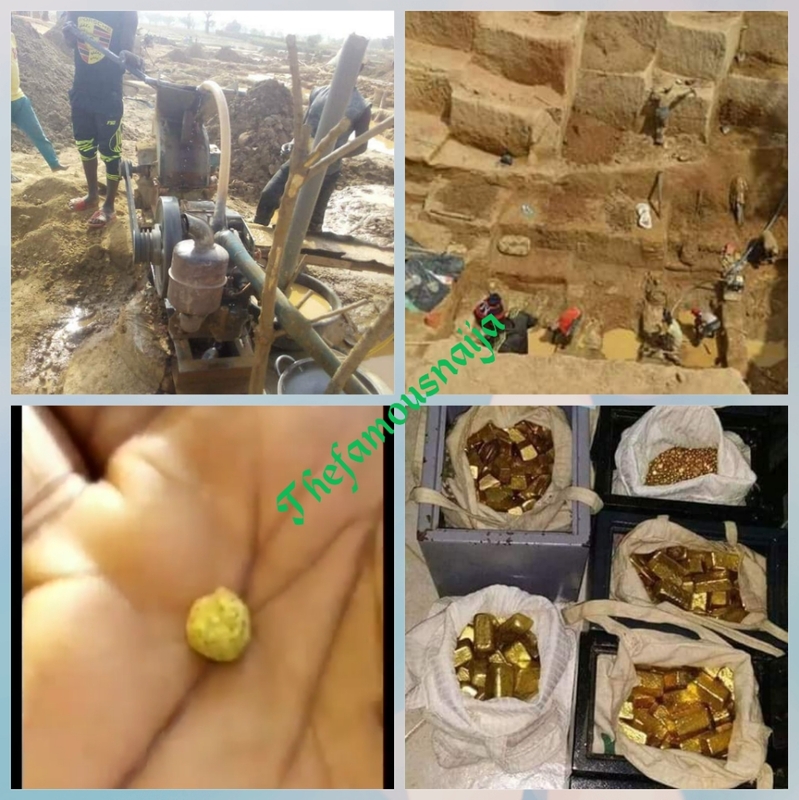 Twitter user, Isima barnabas @BarnabasIsima shared photos of illegal mining in Rimi Sumaila LGA in Kano state. 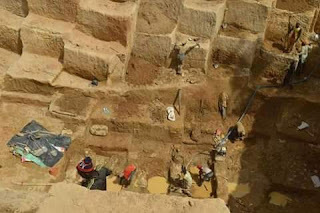 "So they are mining gold in Rimi sumaila local government area in kano state. 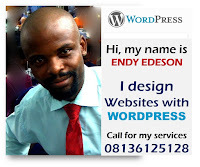 pocketing the proceeds quietly. 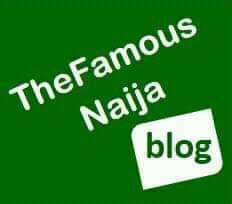 They don't pay into the Federation account for us all to share. 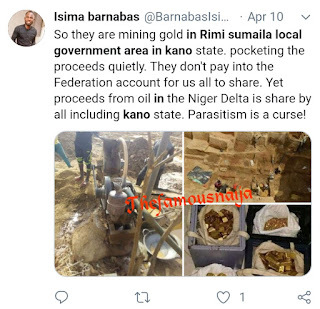 Yet proceeds from oil in the Niger Delta is share by all including kano state. 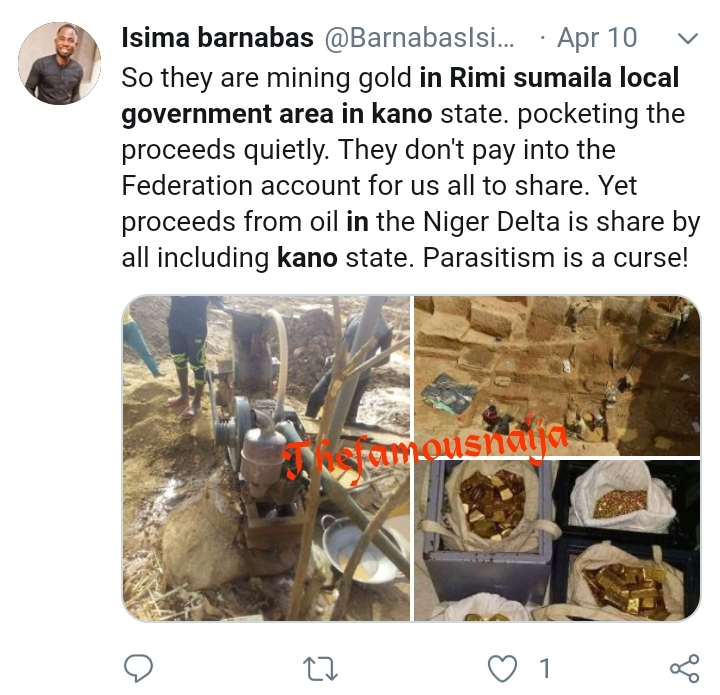 Parasitism is a curse!" 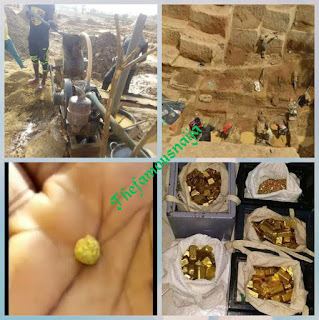 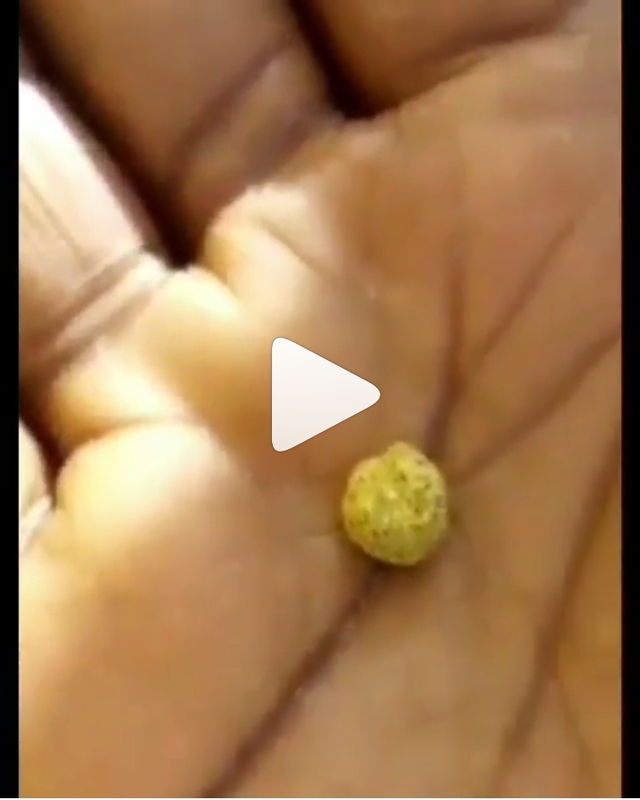 VIDEO Where The Illegal Mining Of Gold In Kano Emerged. . . . "This is Rimi sumaila local government area in kano state, where illegal gold mining is taking place, some few northern leaders are pocketing the proceeds quietly."